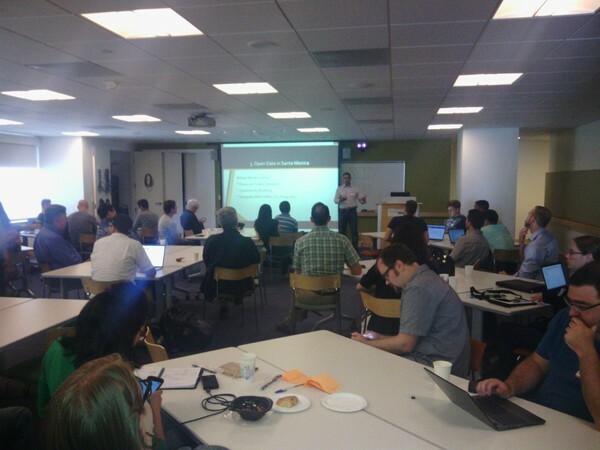 #SMNT35 pitch/demo event took place on June 10 at Cross Campus in Santa Monica. Pizza and drinks were provided courtesy of our sponsor Bryan Lemster from Halcyon Innovation. All attendees got a sneak peek of what our tech startup counterparts are working on across the pond! Silicon Beach Fest Is Back! The annual summer celebration of startups in So Cal, Silicon Beach Fest, is back for another year bringing parties, pitches and panels to Marina Del Rey, Santa Monica and the surrounding community. Professionals with an interest in technology from many different professional spheres will be speaking, networking and building during this 3-day event jam-packed with activities. You can find all the info about the event here & find special discounts here. Happy Networking! Santa Monica New Tech Pushing Startup Scene. Santa Monica New Tech (SMNT) is continuing to drive the startup community in the area by showcasing new and exciting local ideas. Halcyon Innovation was happy to be fortunat e enough to sponsor the most recent event SMNT#35 where six new startups showcased their fresh concepts. You can check out some of these great projects here. After 3 years of helping to grow startup communities in Los Angeles as well as London & P aris, SMNT is also offering a course to help startups begin on the right foot. More info about the course is available here. Follow SMNT on social media here. See more pics from the event on Meetup and videos on our Youtube channel. 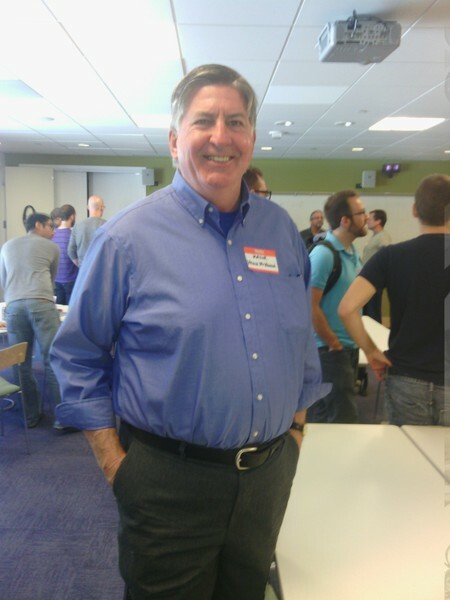 The City of Santa Monica, in partnership with the Santa Monica Chamber of Commerce, hosted a meetup at the Santa Monica Public Library for the 2015 National Day of Civic Hacking. 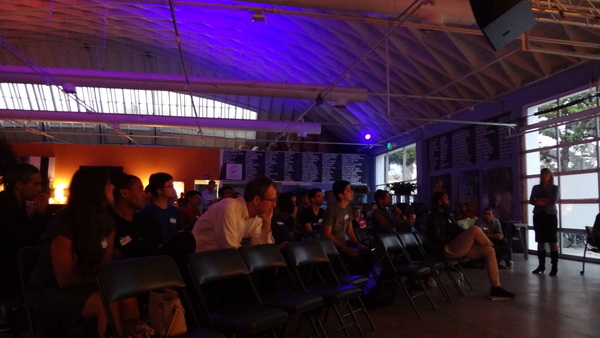 Our group was invited to this event to learn about open data, open source and civic tech in Santa Monica. Hack the Beach is an effort by the City of Santa Monica to bring together civic-minded technologists interested in solving real-world challenges. Our areas of focus are around open data, open source software, government transparency, and citizen engagement. We welcome your bright ideas, your eye for creative and intuitive solutions, and your coding craftsmanship. This is an unprecedented time for civic engagement. Governments are opening their data and internal processes, creating new avenues for collaborative problem solving. 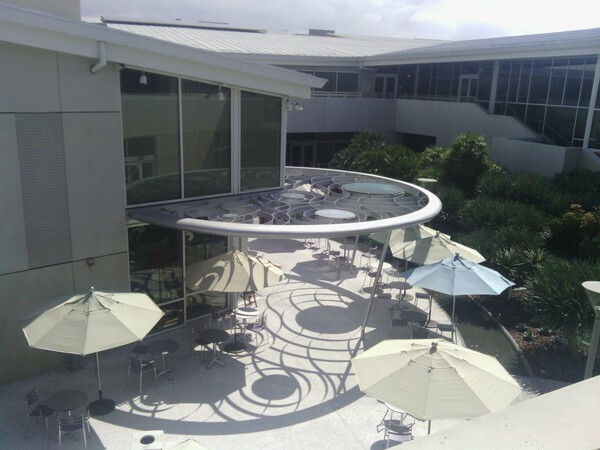 From startups to well-established firms, Silicon Beach is booming. A rich talent pool coupled with a city government at the forefront of civic tech puts us in a unique position for innovative success. 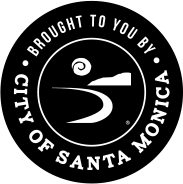 The City of Santa Monica is proud to continue our tradition of partnership building. We invite you to join our civic tech community as we work together to make a positive impact on our city. The event took place in Santa Monica Public Library on Saturday, June 6, 2015. The Mayor of Santa Monica Kevin McKeown attended the event together with other government officials and community leaders. Planning for the next Hack the Beach event is currently underway. Keep abreast of what we’re up to and join the discussion on Google Group. Help shape the next event by taking a short survey. You may also reach out directly at data@smgov.net.